APG President Christine Olson introduces the film "The Greenest Building." 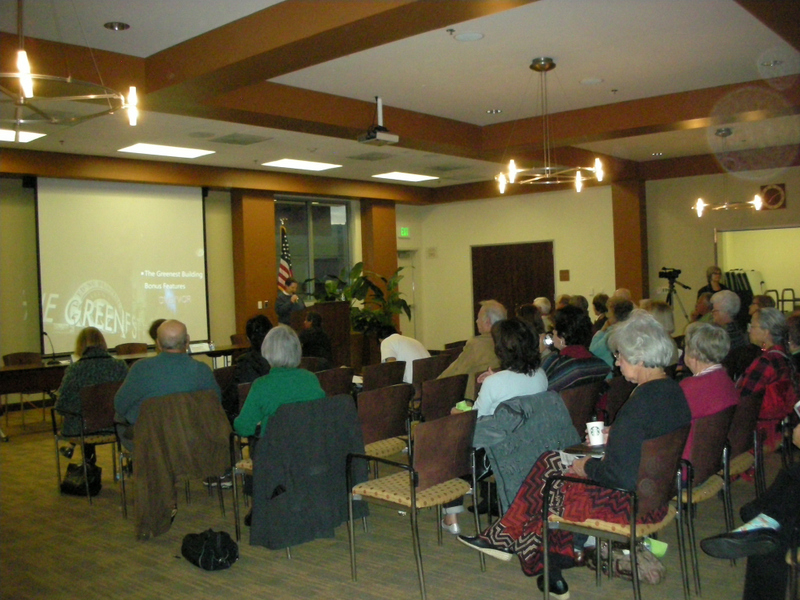 On the evening of March 15, Alhambra Preservation Group screened the award-winning document The Greenest Building at the Alhambra Civic Center Library to a crowd of community members and City officials including Councilmember Steve Placido and City Manager Julio Fuentes. The award-winning film explored the question “Is a new building the most sustainable choice?” with noted preservationists, architects and green building consultants discussing the environmental impact of demolition, the needs of communities to reflect a “sense of place,” and the proposition that the greenest building may, in fact, be the one that is already built. The film showcased examples of creatively re-purposed historic buildings that have been upgraded to LEED standards, serving their owners and occupants as 21st Century workplaces while preserving the unique character of their surrounding communities. Event panelists field questions from attendees. 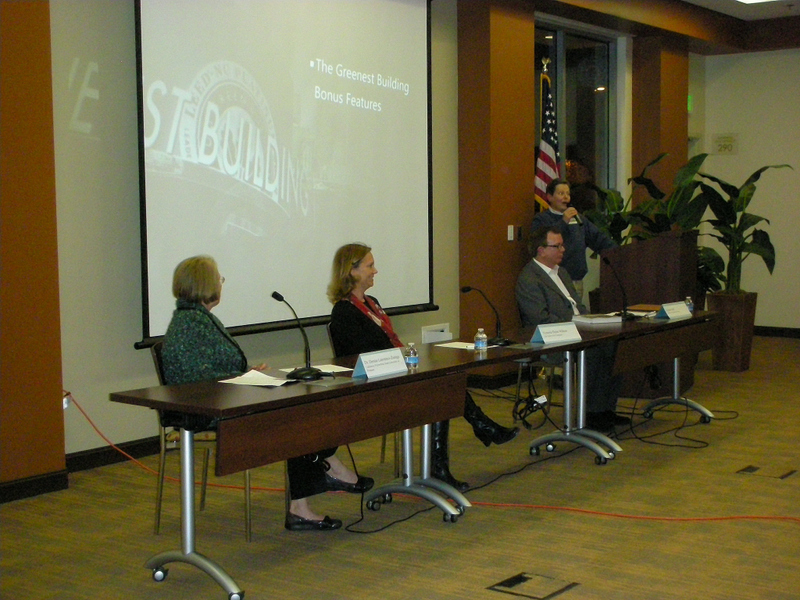 Following the film, a panel of experts including Dr. Denise Lawrence-Zuniga of the California Polytechnic State University at Pomona’s School of Architecture; Victoria Deise Wilson of the Ratkovich Company; and, Peyton Hall of Historic Resources Group fielded questions from the event attendees. Questions and discussion ranged from an explanation of the Mills Act, which, if Alhambra were a participant, would result in property tax reductions for owners of historic homes to a discussion about the need for grassroots efforts, “Preservation organizations are integral to ensuring that communities retain their historic buildings and maintaining that ‘sense of place’ that is so important to residents,” stated panelist Dr. Denise Lawrence-Zuniga, during the panel discussion. Another recurring theme discussed in the film was that buildings are the physical manifestations of memories and stories. Are there any Alhambra buildings that evoke memories for you? Share your memories with us. We’d like to hear which of Alhambra’s buildings are included in your own life stories. Alhambra Preservation Group’s spring event will take place in late May and will focus on the growing resurgence of filming at Alhambra homes and locations. Stay tuned for more details regarding this upcoming event. This Sunday, March 18, between 11:30 a.m. and 4 p.m., the Los Angeles Conservancy will explore the work of renowned artist and native son, Millard Sheets, with a tour of some of his most important examples of work in the Pomona – Claremont area. As a highly influential artist during the mid-20th century, many of Millard Sheets’ best-known murals can still be seen throughout Southern California. But did you know that you can view three of Millard Sheets’ earliest murals here in Alhambra at Mark Keppel High School? 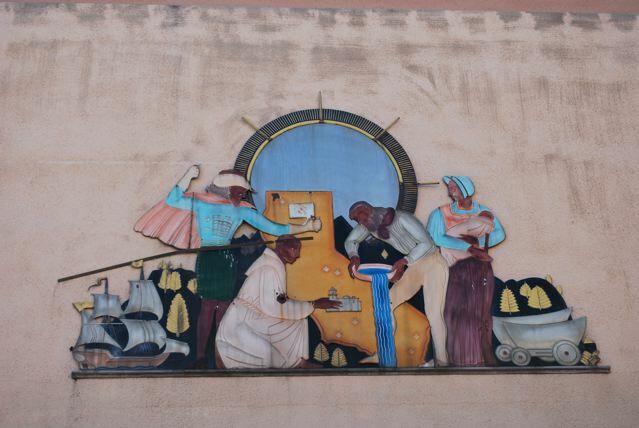 In the late 1930s, as Alhambra’s Mark Keppel High School was being built, Millard Sheets created three exterior enamel and steel murals, which remain today. The three murals depict the history and culture of early California. One mural showcases the entire state of California – a lumberjack cuts down a redwood tree, a cowboy gallops in on a white horse from the east, two miners pan for gold, a large ship sails and a farmer harvests oranges. The second mural features Los Angeles County and includes the San Gabriel Mountains, the San Gabriel mission, a cattle ranch and vaquero and Long Beach and San Pedro harbors. A third, the largest, crowns the entrance to the schools auditorium and shows three of the groups that colonized and populated early California: the Spanish conquistadors, the Catholic missionaries and the American pioneers. Millard Sheets was a native California artist who grew up in the Pomona Valley. He attended the Chouinard Art Institute in Los Angeles and showed remarkable early promise. 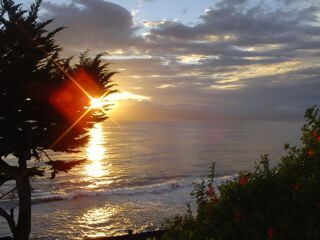 While still a teenager, he was elected into membership in the California Water Color Society. He received national and international recognition for his painting and was recognized in Southern California as the leading figure and driving force behind the California Style watercolor movement. Painting was only one aspect of Sheets’ long and varied art career. Through his teaching at Chouinard Art Institute, Otis Art Institute, Scripps College and other institutions, he taught hundreds of artists how to paint and guided them into careers in art. During the Great Depression, he helped to select and hire artists for the Public Works of Art Project, the first art project of Roosevelt’s New Deal. In later years he worked as an architect, illustrator, muralist, and printmaker. His career as architect and muralist reached its zenith in the 1950’s, when he was employed by Howard F. Ahmanson, Sr. to design dozens of branch offices of Home Savings of America throughout Southern California. This Los Angeles Conservancy event provides a unique opportunity to visit some historic sites, including Sheets’ former studio. But, don’t forget to make a stop at Mark Keppel High School before heading out to Pomona-Claremont on March 18. It’s a great opportunity to see some of Sheets’ work up close and personal here in Alhambra. 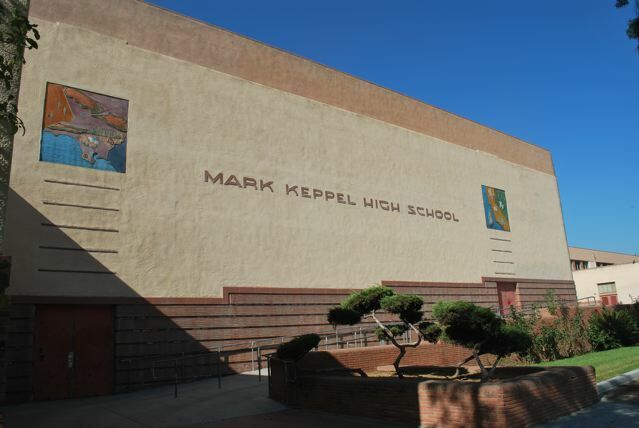 Note: Mark Keppel High School is located at 501 East Hellman Avenue, Alhambra, CA 91801.